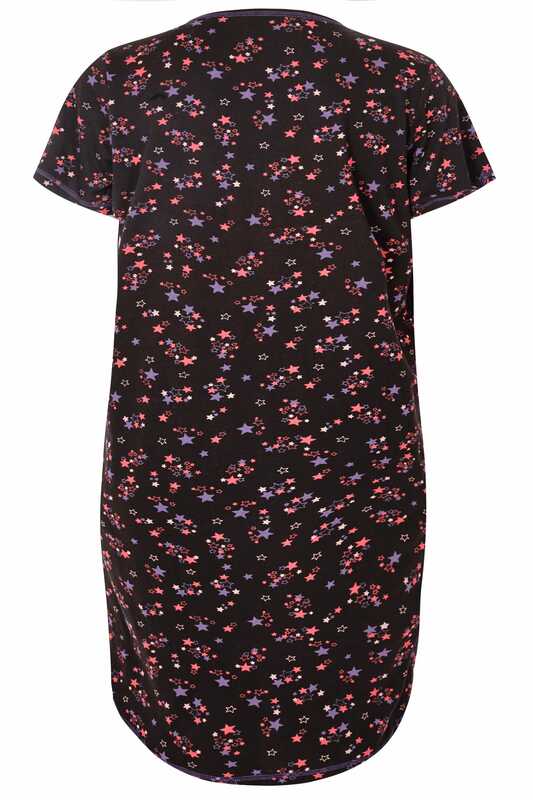 Add pretty prints to your nightwear collection with this knee length nightdress. 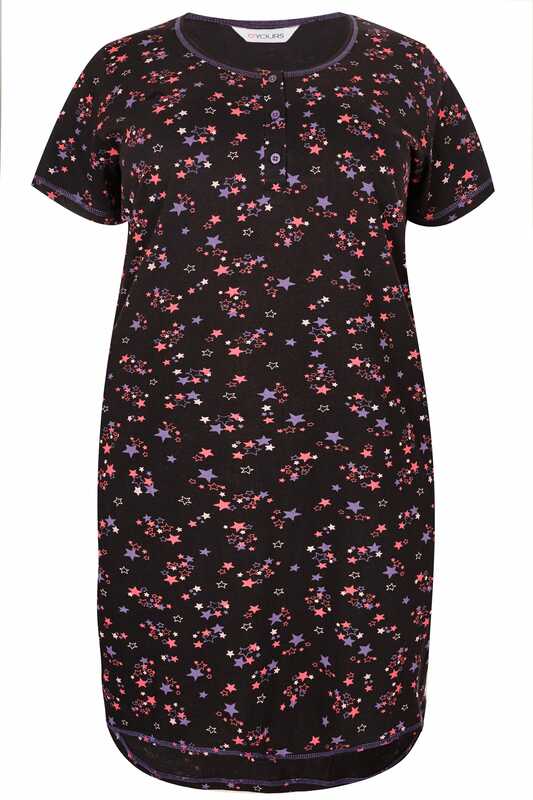 Made entirely from cotton for the ultimate comfort throughout the night, it features a simple scooped neck with button fastenings and short sleeves. Layer up with one of our fluffy dressing gowns and a pair of knitted slippers for a snug look. With an all-over star print in pink and purple, it is perfect for adding a hint of colour to your line-up.